Time for some new looks to our very classic Chippendale style. A while back we were able to watch an old movie where a master painter showed some of Rembrandt's glazing techniques. We immediately thought this would work with many different older styles of painting and now you can see the results. This beautiful new methods also involves the use of a couple new colors for our Paint It Simply program. Brown Madder and Diarylide Yellow are perfect additions for this new technique. 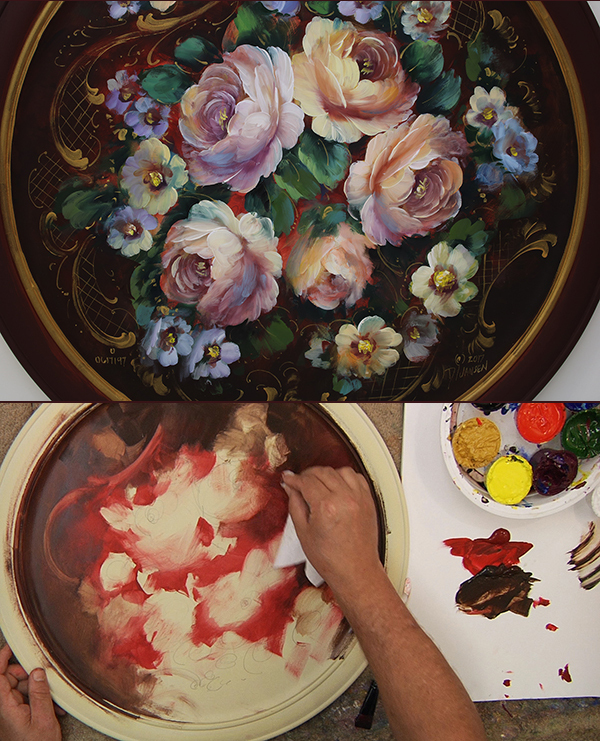 Fun, fast and really different this new method gives a beautiful and elegant looks to a classic painting styles. What to try something new to "spark" your creativity? This new technique will get you doing just that! Click the button below to add the DVD 1120 Chippendale Innovations to your wish list.